of baluster form, with embossed floral, grape and vine leaf decoration, waisted stem atop a circular spreading foot and with lobed decoration. The central cartouche is vacant and surrounded by rococo style scrolls. 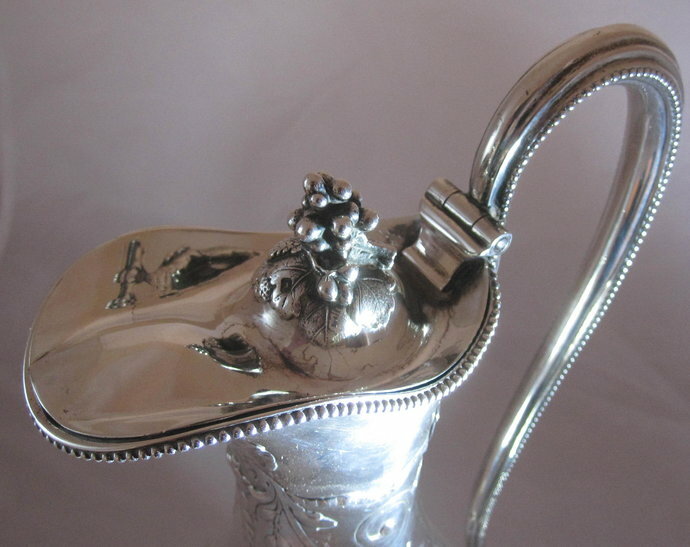 The ewer has an elongated scroll C handle with bead edge to the foot rim, handle and lip. 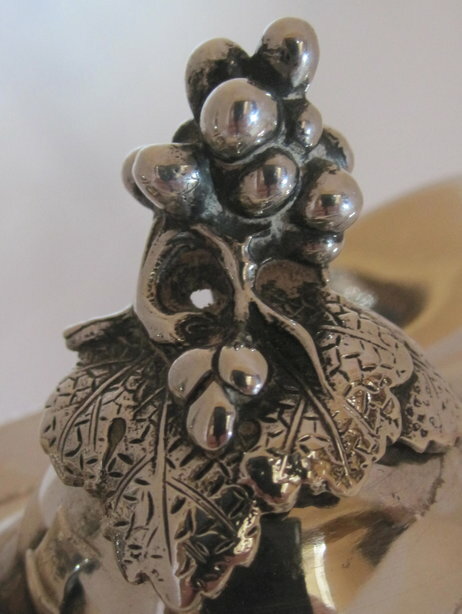 The hinged cover is adorned with a separate cast grape and vine leaf finial. 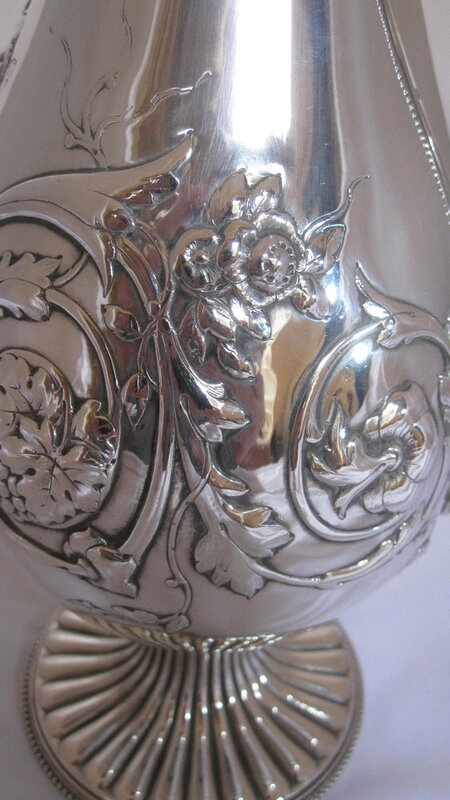 There is a full set of hallmarks to the body and part marks struck to the inside of the lid and the finial. 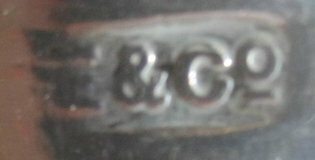 By Elkington & Co, Birmingham 1863. 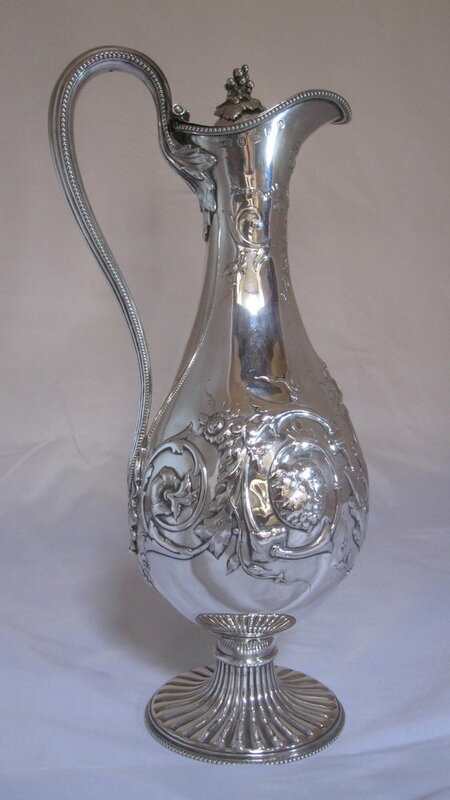 Elkington & Company held Royal warrants for a long list of monarchs, including Queen Victoria and King George V. The firm is much sought after by collectors and is famous for registering designs by Dr Christopher Dresser in 1885. 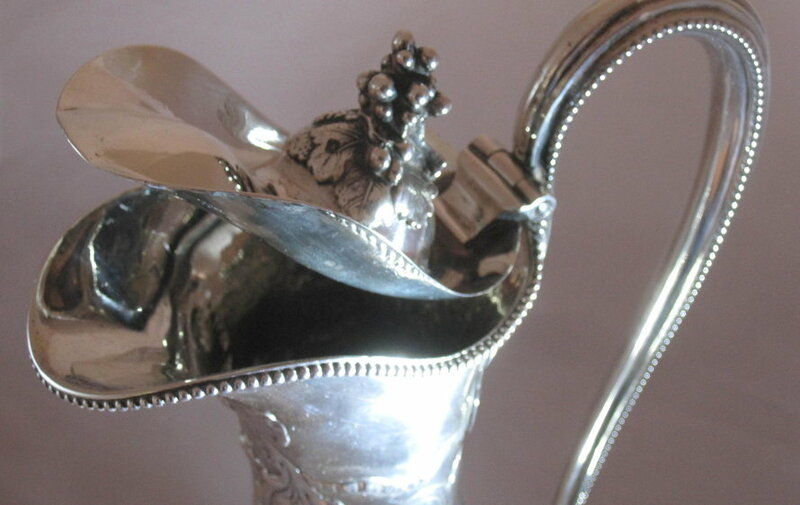 An elegant piece of antique silver in very good condition. The perfect addition to any dining table!